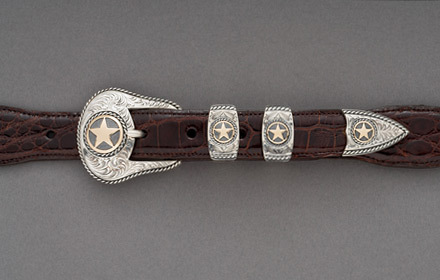 Welcome to Randall D. Moore - RDM Buckles - Maker of sterling silver heirloom SINGLE BUCKLES and belt BUCKLE SETS. 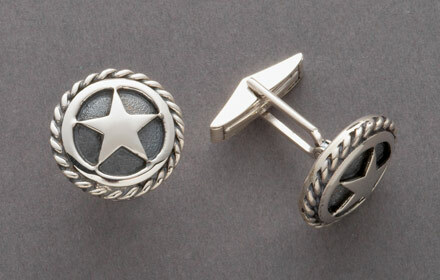 Enjoy our collection of handmade silver buckles that also includes ACCESSORIES such as matching sterling silver and gold cufflinks and bolo ties. 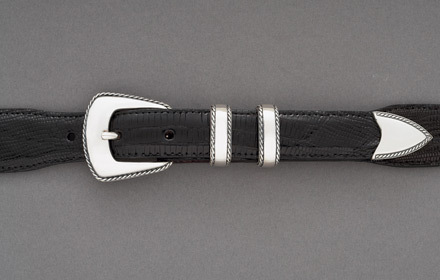 Many of our buckle styles are available in different widths. 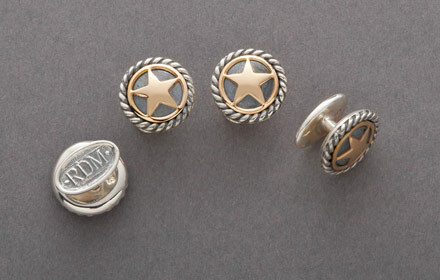 Since the design varies slightly according to the width of the buckle, we are showing photos of each width. Click on the thumbnails to see the entire "family" for each buckle style. 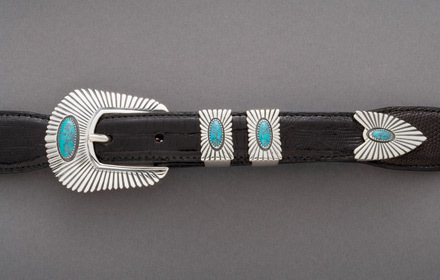 Some of the "families" include variations such as engraved silver buckles, silver and gold belt buckles and belt buckles with turquoise. 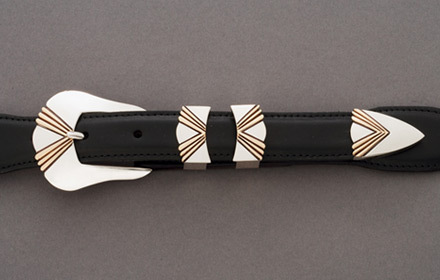 Our BELT STRAPS are made in the U.S.A. and are available in 3 types of leather. This is a working studio. Please call to make an appointment. Thank you.